This unprepossessing-looking box is a wind tunnel, which the Wright brothers – realizing that it was far too time-consuming to test wing designs by building them full scale – used to test their aeronautical designs using models. The innovation that prompted their break-through was not an improvement to aircraft, but an improvement in the process for designing aircraft. 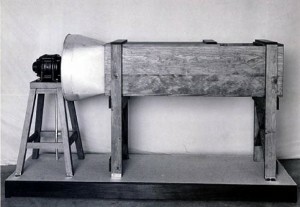 By using a wind tunnel, they were simply able to make their mistakes faster than anyone else, and to learn from them. Others had to learn by building, and crashing, full-size aircraft. This is far from an original observation, but I think it has some connection with programming. The story of the Wright brothers illustrates the power of rapid iterative improvement – their approach would probably be called "agile" if it were being used today. The difference between the Wright brothers and their contemporary rivals mirrors one that I often see between the different approaches to writing code I see being used by my students. On the one hand, you have people who favour small, incremental improvements when writing a program or a function, testing each bit of code as soon as possible and uncovering bugs and mistakes early. 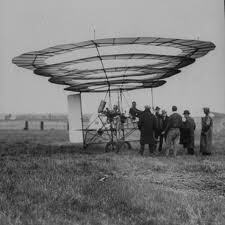 Students who program in this way end up with programs and functions that resemble the Wright Flyer pictured above: crude and primitive, perhaps, but certainly fit-for-purpose and relatively unlikely to result in broken bones. As the picture above attests, this is a recipe for pain.